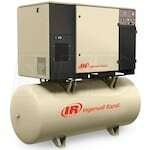 When it comes to air compressors, nothing outworks a rotary screw compressor. They are the workhorses of the industry for good reasons. We hear you loud and clear, so this year we've gathered the data on the best-selling, top-rated and expert-recommended rotary screw air compressors for you below. 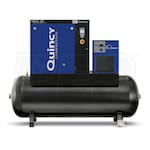 Going rotary is a huge upgrade, but if you are still unsure, check out our comprehensive Rotary Screw Air Compressor Buyer's Guide and learn why you need one today. 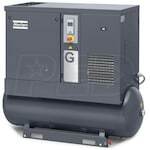 Best Rotary Screw Air Compressors.. Our Power Equipment Direct how-to library can help you learn about How Air Compressors Work, Top-Rated and Best-Selling Quiet Air Compressors and Oil-Lubricated Vs Oil-Free Air Compressors.